The patient empowerment materials below — infographic posters, downloadable PDFs, and videos — are for afib patients, family members, and healthcare providers. They were developed by the Sign Against Stroke (SAS) in Atrial Fibrillation Task Force. Please download, print, and share these materials and leverage the videos, both the long version and the eight short 20–30 second mini-videos. Click on the links below to download them. Video (3 minutes): The video is made up of the eight short video segments available for download below. We take our hearts for granted. We shouldn’t. 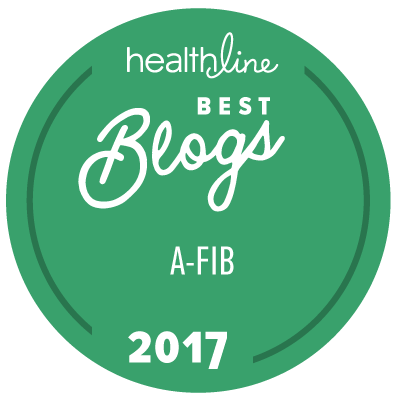 When atrial fibrillation occurs, your heart could be in trouble, and your life at risk. Atrial fibrillation, or AF, is a quivering of the heart caused by erratic electrical signals. When the heart doesn’t beat regularly and strongly, blood pools in its chambers and can form a clot that can go to the brain and cause a stroke. 3: How do I know if I have AF? If you have symptoms such as a racing, pounding, or fluttering heart … or fatigue, dizziness, or shortness of breath … take action. Seek urgent medical attention. Your doctor will check your heart’s rhythm for AF. Some people have no symptoms and AF may be found at a routine visit to your doctor. With atrial fibrillation, you may be living on borrowed time. Your risk of a stroke increases 5 fold. 35% of those with AF have strokes. Every year, 1.7 million people worldwide are killed or disabled by them. If your heart can’t pump enough blood, your body doesn’t get enough oxygen and the heart works harder to compensate. This can cause heart failure. And lack of oxygen to the brain can lead to dementia. 6: How can I reduce the risks? Know your risks and work with your doctor on a treatment plan. Anticoagulants help prevent strokes. Heart rate and rhythm medicines control your heart. Take all medications on time and as prescribed. 7: What can I do for myself? To reduce your risks from AF, eat healthy food, exercise, quit smoking, and sleep well. By learning about AF, and the ways to reduce your risks, you can make sure that you get the very best care. 8: What can my caregiver do? Ask your family and friends to learn about AF and to help you choose medications and treatment. Together you can work towards a stronger and healthier you.